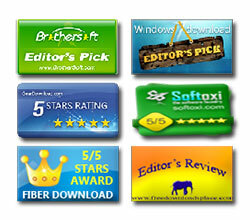 Microsoft Outlook is the popular email client used within the enterprises worldwide. 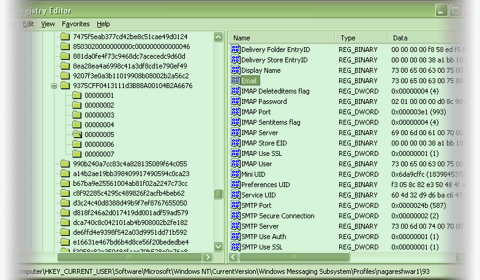 It provides multiple type of email configuration including Exchange Server, POP3, IMAP, HTTP etc. Like many applications, Outlook also stores the account password for subsequent logins when user selects the 'Remember Password' option during authentication. The password is stored in the encrypted format and only corresponding user can decrypt the password. Different versions of Outlook store the password at separate locations using distinct encryption methods. All versions of Outlook starting from 2002 to latest version 2010, store the passwords (other than exchange server) for various email account such as POP3, IMAP, SMTP, HTTP at following registry location. Outlook stores other information related to configured email account such as Email Address, User name, Server etc along with password at this location. As shown in the above screenshot different type of accounts (IMAP/POP3/SMTP/HTTP) uses different registry 'Value Name' to refer to username, password, server information etc. Here is the table which summarizes these registry value names for all type of email account configurations used by Outlook. Except the password, all the other information is stored in clear text in unicode format. Password is encrypted and has following structure. Newer versions (2002-2013) of Outlook uses 'Windows Cryptography' methods to encrypt the password when Outlook is running on Windows NT platform. For older platforms it uses the 'Windows Protected Storage' mechanism. The method for decrypting protected storage based passwords is mentioned the in the below section on older Outlook version. The above code snippet takes the encrypted password data and length to form the DATA_BLOB parameter. Then it is passed on to CryptUnprotectData function to decrypt the password and the clear text password is stored in the DataOutput parameter on successful execution. 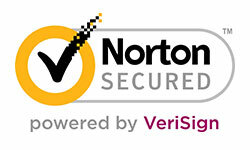 Newer Outlook version (2002-2013) uses the 'Credential Store' to store the 'Exchange Server' passwords. 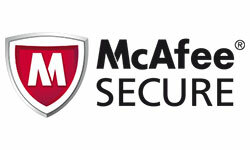 It provides more secure mechanism for storing and retrieving the password than the older 'Protected Storage' format. This mechanism is mainly used by Windows to securely store network login passwords. Here are the locations of credential files used by 'Credential Store' to store the encrypted passwords on various platforms. Here Outlook stores all the email configuration details such as Email Address, User name, Server etc along with encrypted password. Unlike new Outlook version, older ones stored password for all type of accounts including 'Exchange Server' in the 'Windows Protected Storage'. However the storage format in the registry is similar to new Outlook versions with the slight change in the registry value names. Here is the table which summarizes various registry value names for different type of email account configurations used by older Outlook versions. Since older versions use 'Protected Storage' method, the byteEncType is always set to 1. Also the encPassData value actually points to 'password item name' in the Protected storage. While enumerating protected storage passwords, this item name can be used to match with corresponding Outlook account password. The complete program to enumerate and decrypt 'Protected Storage' passwords is shown in the 'Exposing Secrets of Internet Explorer' article [Reference 2]. Here additional check needs to be performed for comparing it with Outlook item names retrieved from the registry so as to recover only Outlook based passwords. 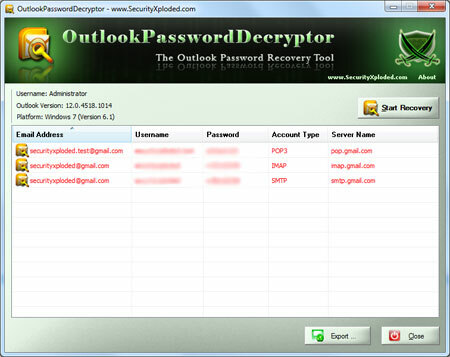 Outlook Password Decryptor is the FREE tool to instantly recover lost password for all versions of Outlook Application. Outlook Password Decryptor works on wide range of platforms starting from Windows 2000 to Windows 10. 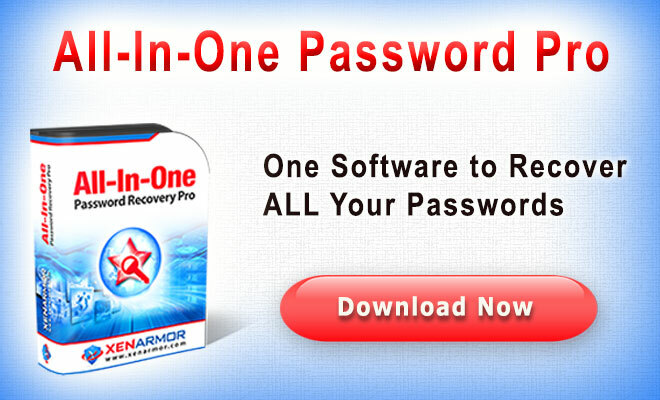 It also support password recovery of passwords from all versions of Outlook .